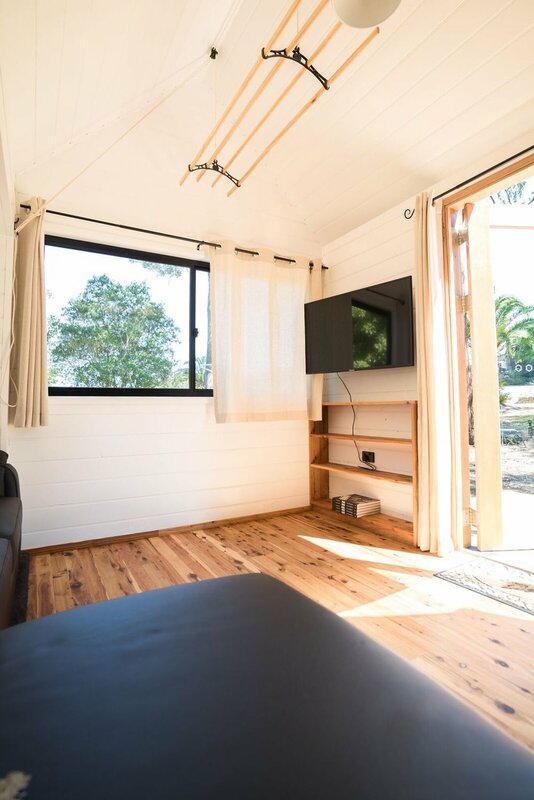 FAMILY OR GUEST ACCOMMODATION - With no DA council approval needed to park it behind your house for a member of your household, you can simply drive you Sojourner Tiny House into your backyard and have a new, self-contained accommodation space ready to use. For more information on council issues, please see our FAQs. OFFICE SPACE OR STUDIO - You can simplify the Sojourner further if you want to use it in an Office or Studio capacity. 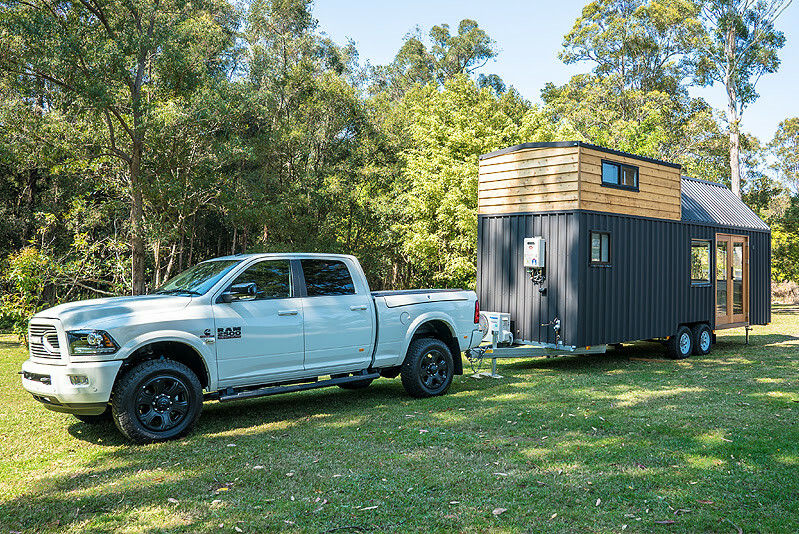 You may not want or need the full kitchen. 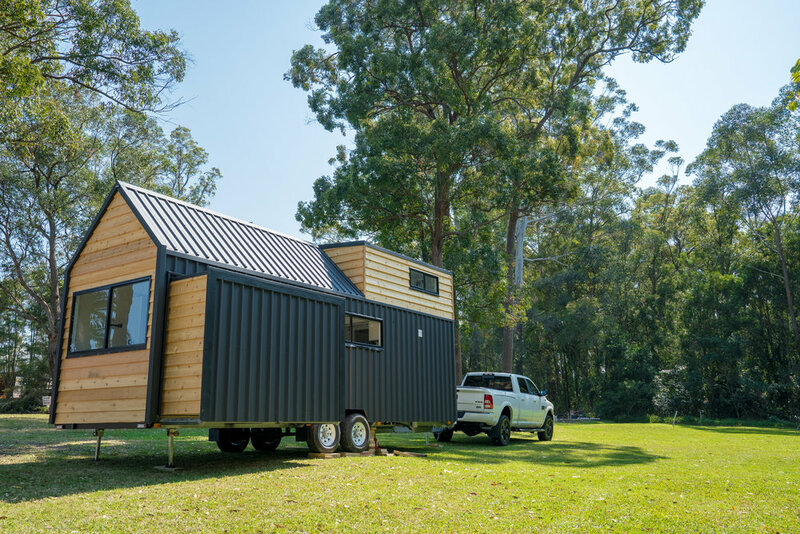 Internals can be simplified or removed to create space for work and creativity. 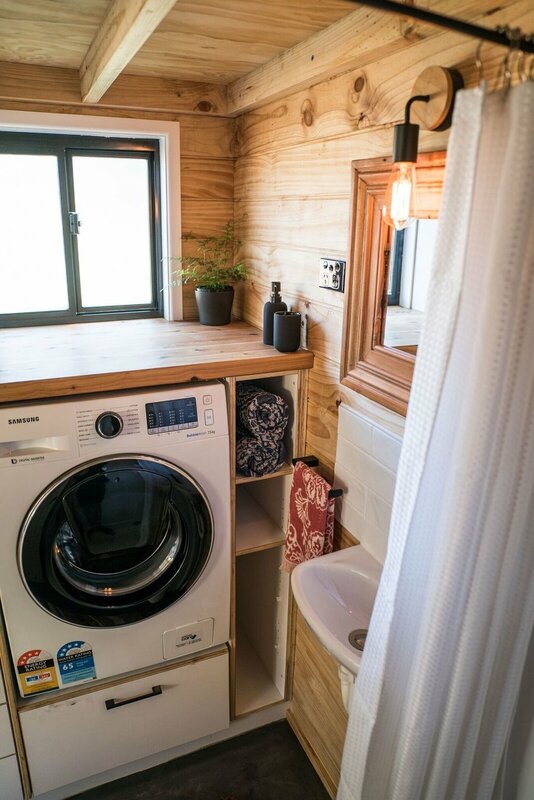 THIS TINY HOUSE, ALL-INCLUSIVE, EXACTLY AS PICTURED HERE, WOULD COST YOU $125,000. This display is now sold, a new one is under construction.